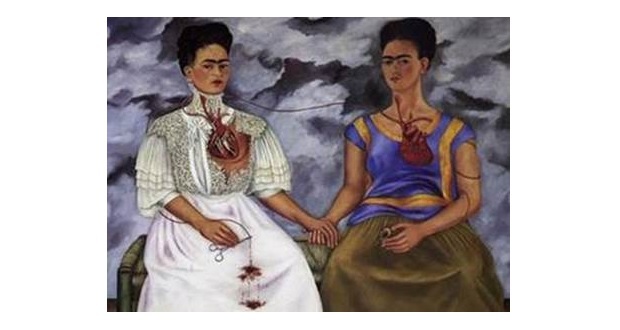 Philos session presents "the life and work of Frida Kahlo" on NET Station Ipanema 1. Disclosure. The next edition of the session Philos portrays the colors and struggles — and policy — the most influential Mexican artist of the 20th century, Frida Kahlo, that would make 110 years in July. The event, promoted by Philos, channel on demand Globosat, introduces new free with showing of the documentary "the life and work of Frida Kahlo", at 9:00 pm, on the NET Station Ipanema 1. After the display, the special guests, Professor and curator Daniela Name, make the mediation, talking about the career and influence of Frida in art and symbolism behind your name. Frida is a symbol among feminists for your fight alongside the Communists and transcend the pain turning their truths in art. The painter of striking self-portraits and the trajectory of suffering was the first Mexican artist to have a work sold for the Louvre Museum – one of the most famous in the world. The documentary "the life and work of Frida Kahlo" depicts since the teenager, He wore a suit and tie for rebellion, even the woman who, shaken by illnesses and tragedies, start painting. In his artworks, Frida goes beyond the loneliness caused by atrophy of the right leg, that earned him nasty nicknames, and the physical and psychological pain resulting from a serious accident of streetcar. But the troubled relationship is with the renowned Mexican muralist Diego Rivera, and of abortions that was your side, your inspiration for your paintings more shocking. Interested parties should withdraw the ticket at the box office, 1 hour before the session. Admission is free and the room is subject to stocking (140 places). In Spotify, the playlist dedicated to film is the most heard on the channel profile Philos, with 420 followers. Click here to join them. Created by Globosat, the Philos is not a traditional channel. With a vast collection that brings together the best documentaries and unforgettable shows, Philos is available in the subscription video on demand (SVOD), where the viewer chooses the time and the content you want to watch, as many times as you want, by means of a signature. With high quality productions, Philos brings together documentaries on art, Science, history, updates, music, peoples and cultures; debates and interviews; and dance shows and music-all in high definition (HD). To access the Philos, It is necessary to hire the service through a pay TV operator that offers the package (NET and ALIVE, R$ 19,90 monthly) or by Globo.com (R$ 21,90 monthly), that gives you access to the entire collection. The content can be watched on TV (using the decoder of the operator), on the computer – the site www.philos.tv -or apps for iPhones, ipads and Android devices. The premium product of Globosat also invests in other platforms and produces short content for YouTube with topics covering the channel collection on demand. The videos are updated every Tuesday, às 11h, in youtube.com.br/canalphilos. Who want to follow the news programming, can follow the Philos on Twitter (@PhilosTV), on Facebook (www.facebook.com/PhilosTv) and also on Instagram (www.instagram.com/philostv). There are also special channel in Spotify playlists, inspired in productions of the acquis, with big names in music.